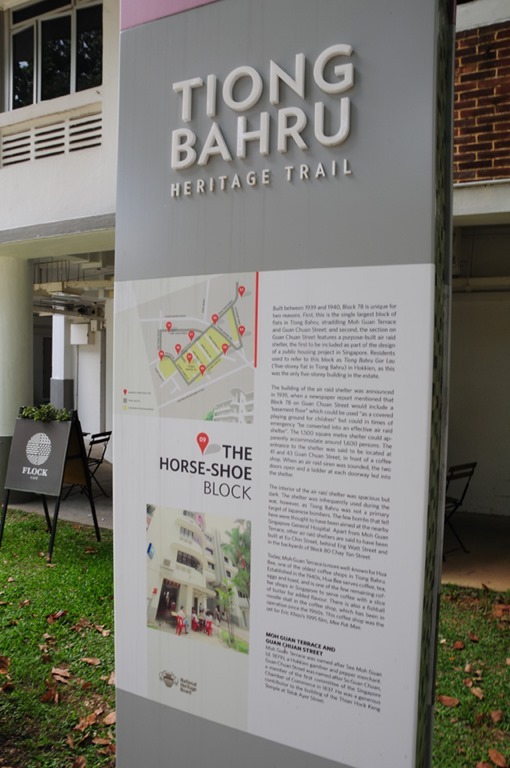 This morning we decided we would check out the lovely Tiong Bahru neighbourhood. It is a really cool little area, getting pretty popular with ex-pats and the hipster set! 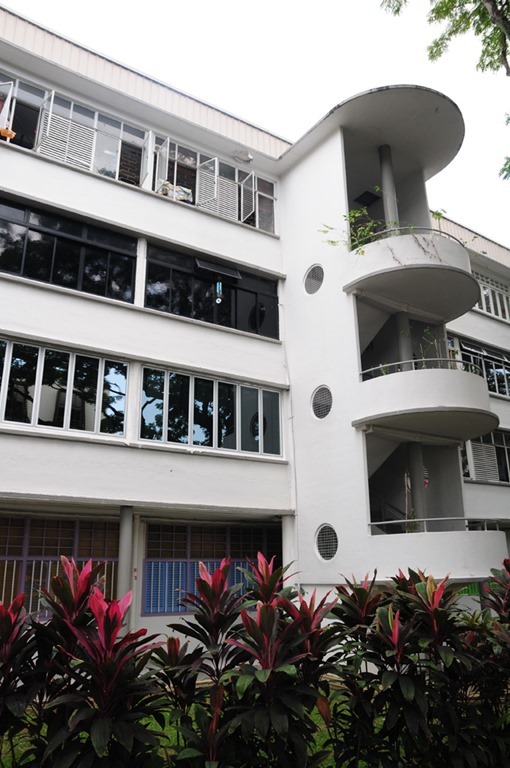 The buildings are all styled in a real art-deco style and it is a nice change from the standard HDB towers you see around Singapore. Around the Tiong Bahru estates there are so many funky hipster cafes open now, so if you wanted something a little more traditional for breakfast this is your place. And also some pretty serious looking coffee shops as well. The buildings are really cool, most are only around 3-5 floors high, so that gives such a funky perspective to the area. 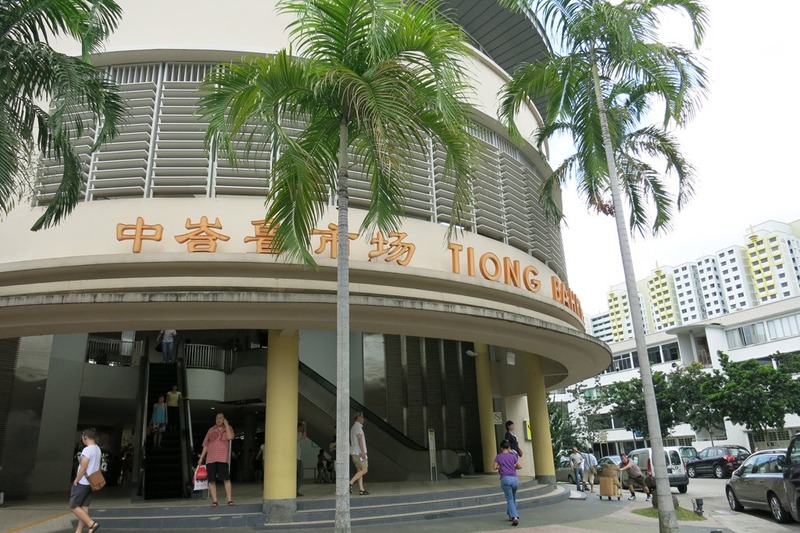 The area is also well known for the amazing Tiong Bahru Food Market and the hawker centre up on the 2nd floor is a real treat. We decided to stop and have our breakfast here this morning. 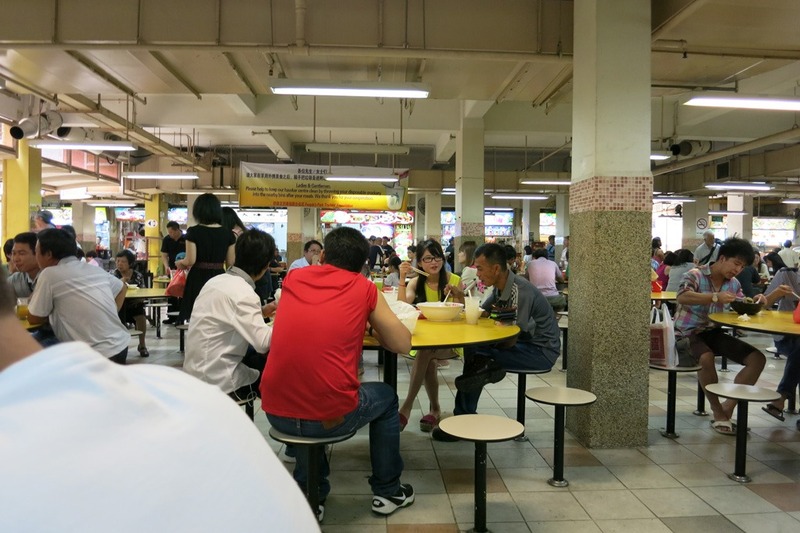 Which also helped me to tick off another Hawker Centre in my quest to get to as many as possible in Singapore! 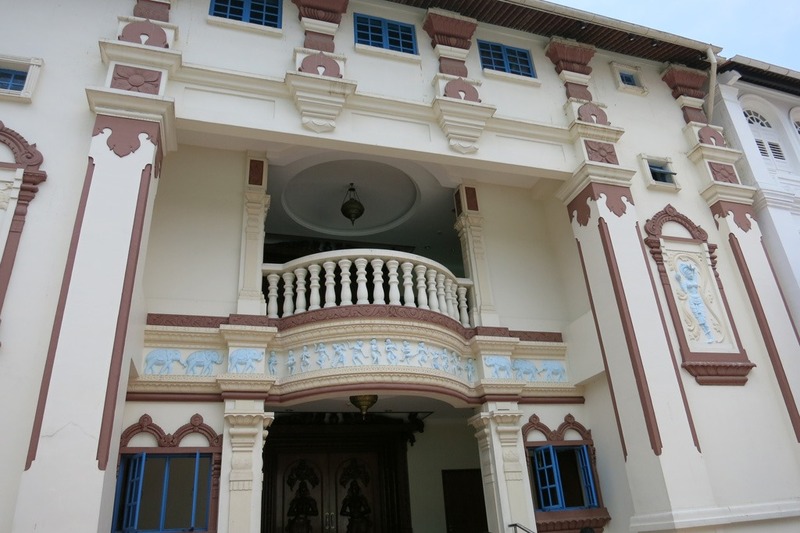 This is the front of the food market. The market area is pretty big and well worth a poke around. It is mainly aimed at locals but still has some amazing fresh food stalls which are great to have a sticky in. 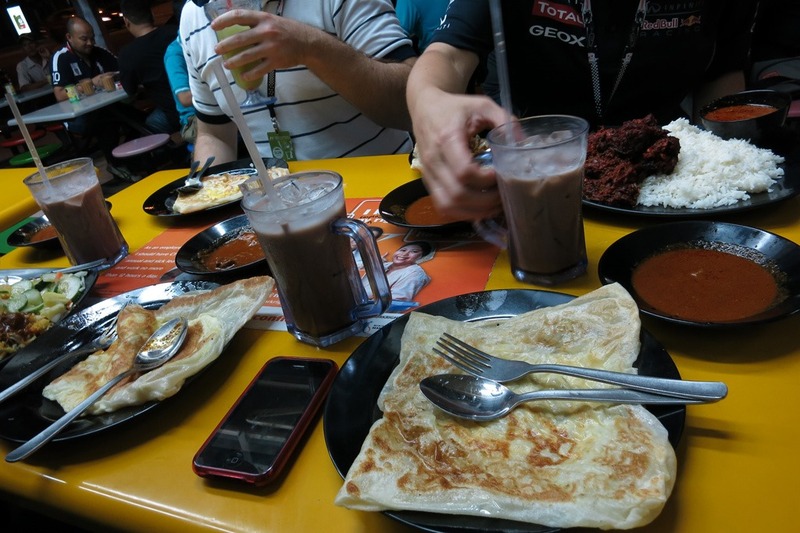 Our Breakfast – not your traditional western style but lovely all the same. From memory it was a combo of Roast Duck and Roast Pork on Rice. Really nice. 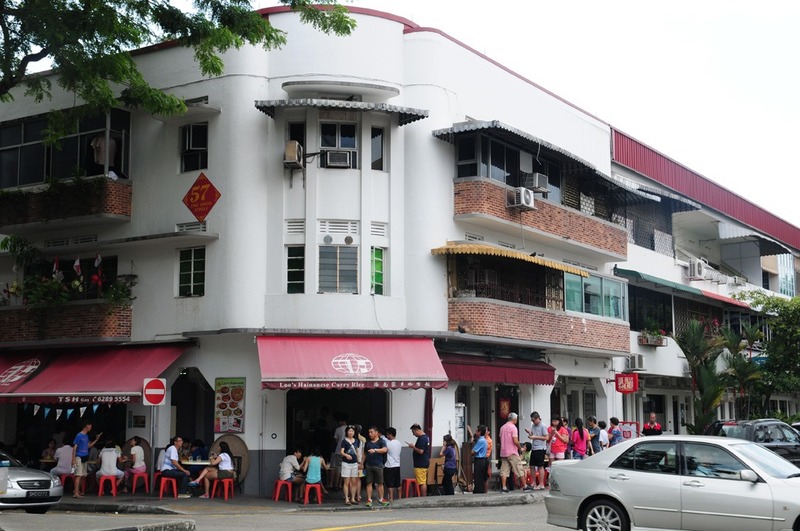 The Tiong Bahru Hawker Centre is really popular, and just follow the usual tip if you are unsure where to eat (Look for the longest lines!). Although in this case I wanted to break with tradition and pick a vendor that didn’t have a long line – I always feel sorry for the guys who are selling the same stuff as the popular people but never get the crowds. The shop owners are all so friendly and willing to have a bit of a chat so do take a bit of time and as with everything a smile will often work wonders!!!! As we left the food centre I noticed this Hainanese Curry Rice place across the road – that is the line of people waiting to get in at 11:58am in the morning! So it must have been pretty darn good! 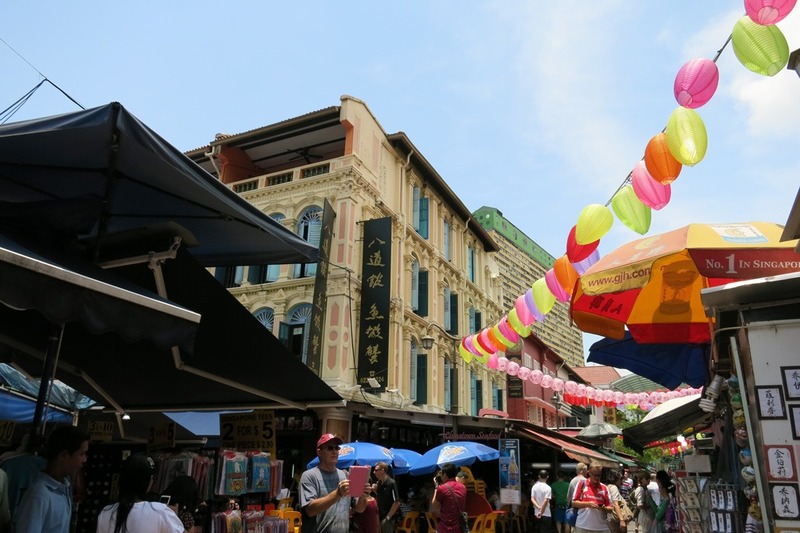 We headed down to Chinatown to catch up with the others – this morning I wanted to head back to my reflexology place in Chinatown for another session and Danielle had some shopping to do in Chinatown. 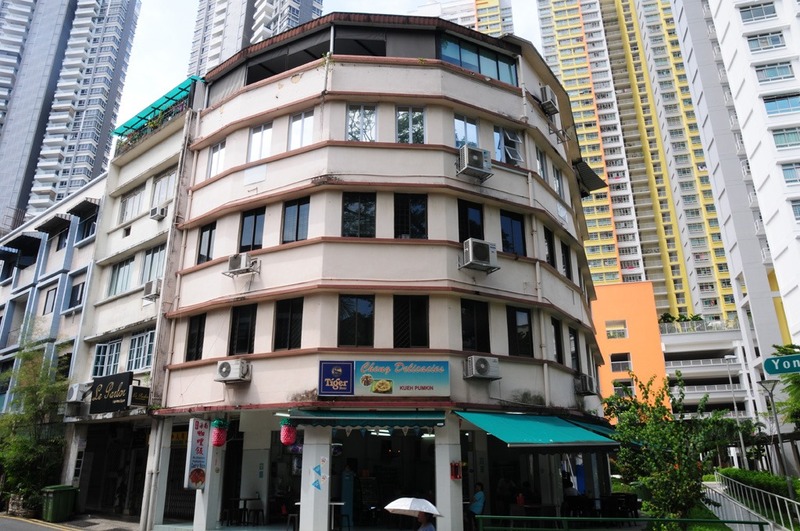 Just to remind you – for amazing Reflexology and Massage head to – Teo Chew Meng Reflexology Centre, People’s Park Complex Shopping Centre, #03-64. They are amazing and really do help fix any aches and pains you have. From memory it was about $20 for a 1 hour foot and neck massage. It does get pretty busy so they may take you to their second shop which is up on Level 4. Don’t freak out – they take you up an escalator, down a corridor, through a doorway, down another empty corridor – before you appear at the doorway to their actual shop, which is usually full to the brim with locals. I have been going to these guys for a few years now and they are pretty good. These are some shots Dan took whilst out shopping in Chinatown – she had instructions to find the guy that engraves your name on a little stone necklace things (I paid lots of attention as you can see) – for a colleague back at her work. 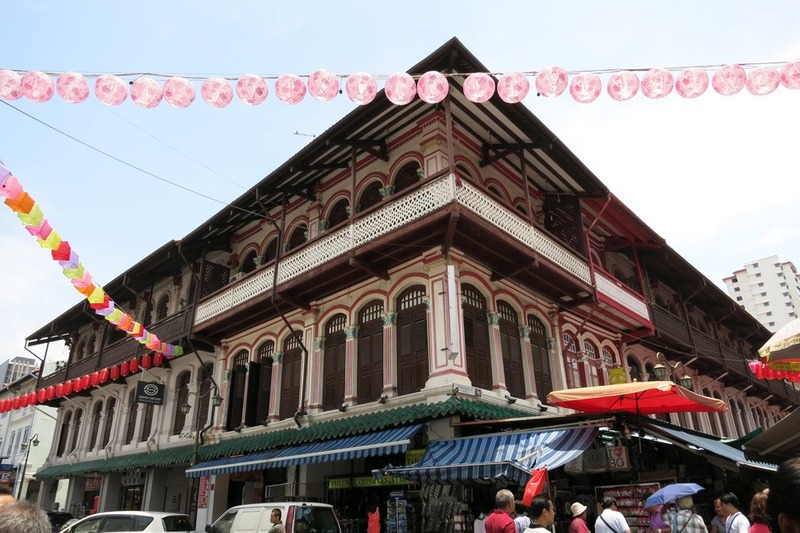 There really is some fantastic architecture in the Chinatown area of Singapore and I do suggest you take a bit of time to meander around the streets. Most people blow in – look at the market stalls then head out – usually in less than an hour. Give yourself a few hours to check out all the streets and all the buildings. There are some funky little shops behind the markets which are well worth a look. There is usually a really great “eat street” in the Chinatown area, but it has been closed for the past few months for renovations. So hopefully next time we head back there it will be up and running again. 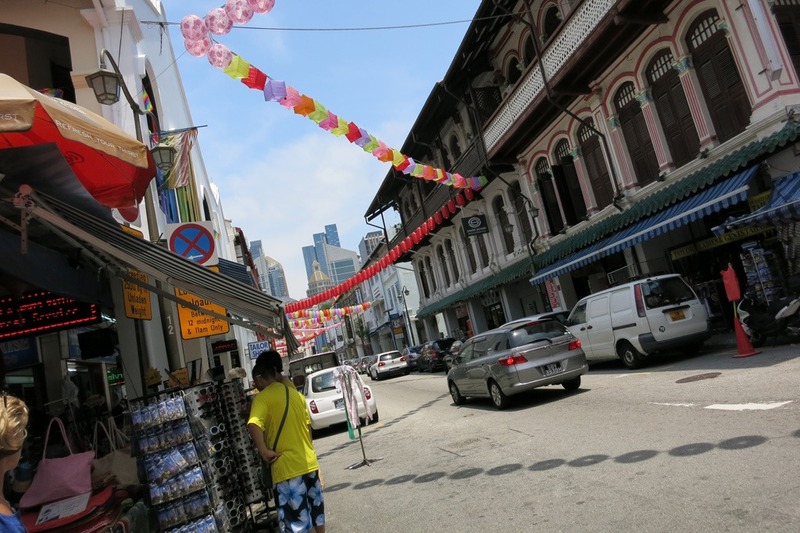 I love this shot for the classic juxtaposition of the old and the new, in the background you see the new modern Singapore and yet in the foreground the more classical shophouses of years gone by. Lunch today was to be a bit of an eye opener for the others – the People’s Park Food Centre, this is a real special food centre – very little in the way of what you would classify as “western” food – mostly Locals eating here. It is tucked away towards the back of the People’s Park Shopping Centre. I will give our travel companions some credit – even though I am sure they would have loved to stop at the KFC out the front they persevered and found something to eat and had a great time. I in turn got to tick off another food centre – and the 2nd for the day as well! 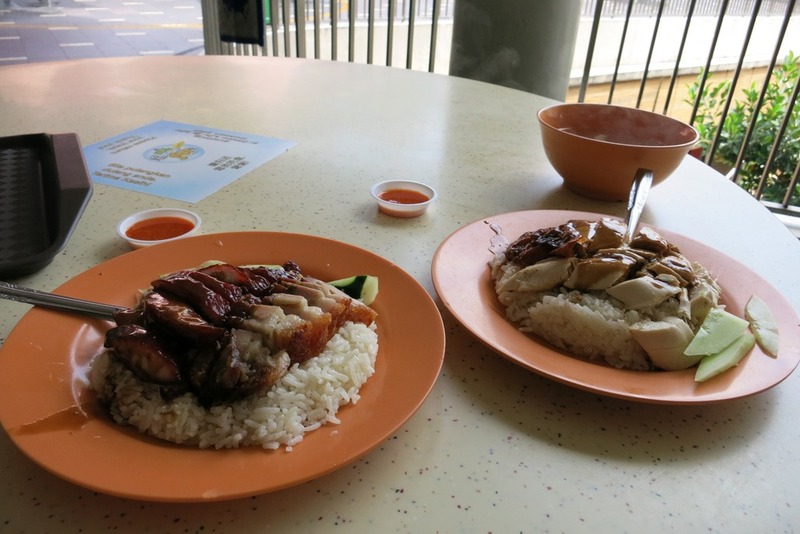 If you are a Hawker Stall veteran then definitely check it out – but perhaps for your initiation maybe try out Maxwell Street or Tiong Bahru first so you get a general idea of what food you like to eat. I am yet to get into the Pig’s Organ Soup yet but who knows maybe one day! Ok so lunch was done – of course we stopped for a quick ice-cream sandwich – we headed back to the Hotel before going to the track. This trip had been in the planning for over a year since we returned from our Bali trip last year. 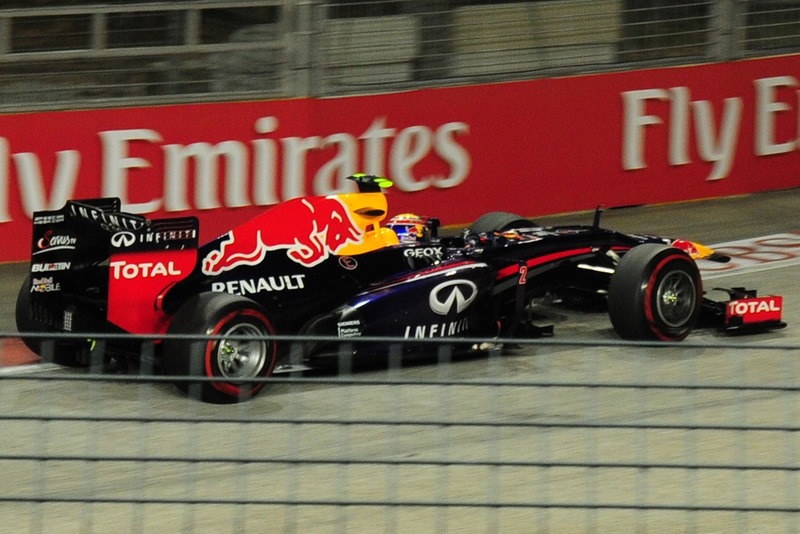 And the climax of it was to be the Singapore Grand Prix – to see Mark Webber overcome the “evil German” and win his final Singapore Grand Prix. 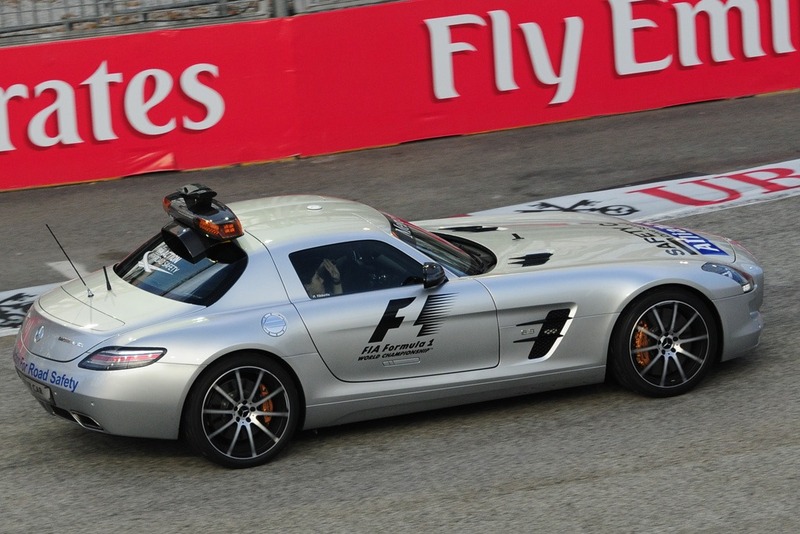 The first event up this afternoon is the Driver’s Parade – this is a great chance to check out your favourite drivers whilst they parade around at a much more “sedate” speed. Led out by the amazing Safety Car driver – Bernd Maylander – this guy has been the official Safety Car driver since 2000, he is a former racing driver but is famous more now as the Safety Car Driver! 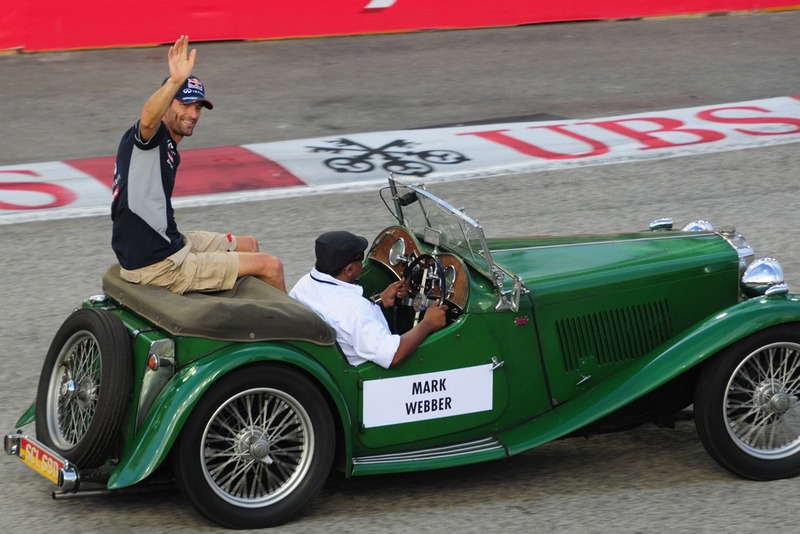 The man who needs no introduction – Mark Webber. Sadly not starting on the front row of the grid…. strange I didn’t seem to post any pictures of the guy who was on the pole position…. 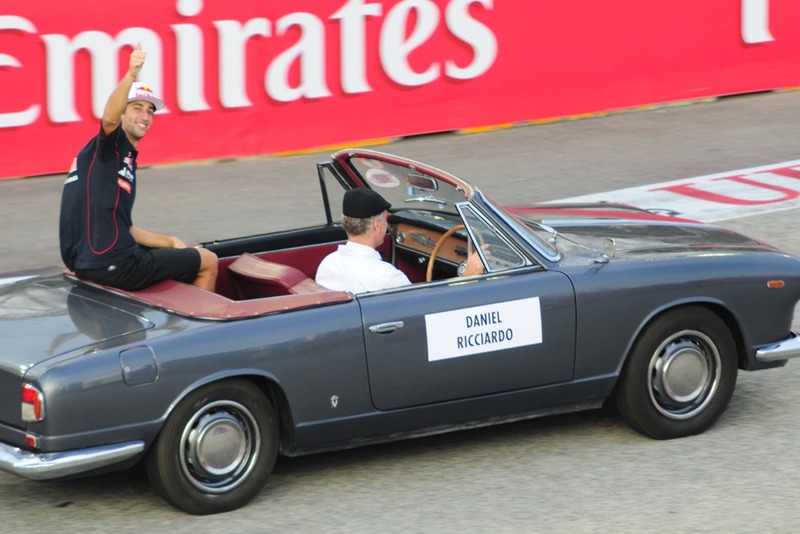 Our next Aussie World Champion – Daniel is stepping into the Red Bull car next year replacing Mark Webber. I have high hopes that he will get a better opportunity to perform than Mark has been given. Daniel has been driving for the ToroRosso car this year, which is basically the 2nd tier Red Bull team. So hopefully they are more willing to show him support than they were towards Mark Webber. 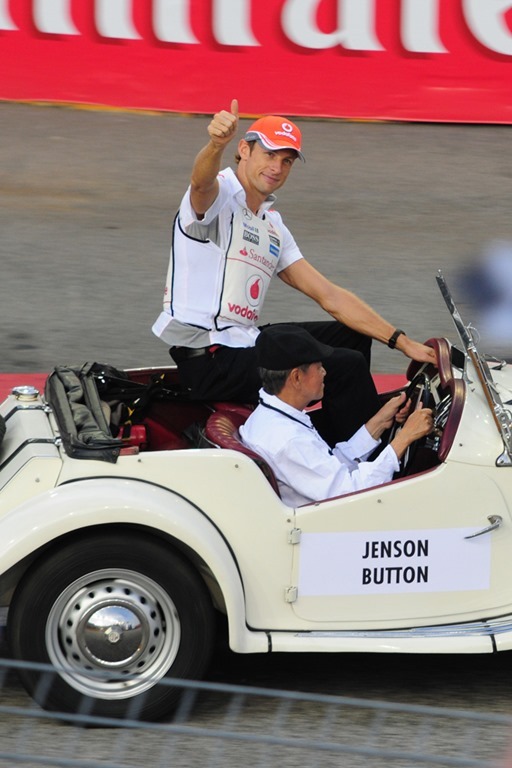 Poor Jenson – 2013 hasn’t really been his year. Fingers crossed things improve next year. It is a completely new car design next year and all new engines so there is a chance this might level the playing field so that driving skill is again the key rather than engineering budget. A good friend of Mark Webber, Fernando has been driving a really consistent season this year, with a really poor quality car at the start of the season he has been able to wrangle some good points results. Poor Felipe, ever since his accident in 2009 when he was very nearly killed at the Hungarian Grand Prix, due to a suspension spring falling off another car and striking him in the head at over 200km/h – he hasn’t really delivered many strong performances. 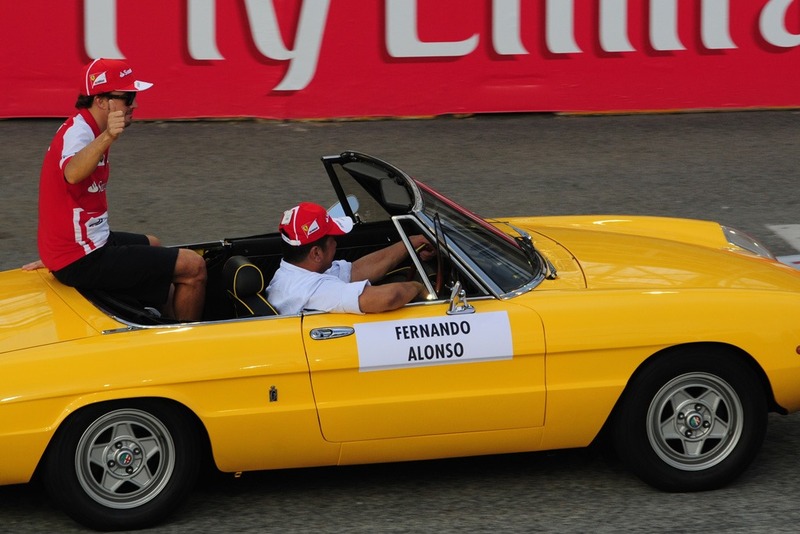 He has also been hampered by team orders with Ferrari wanting him to let Fernando past on a few occasions. 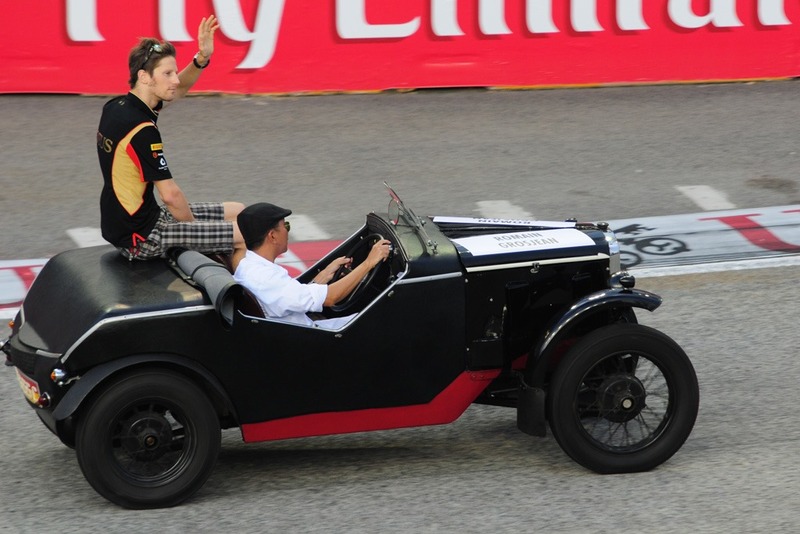 Romain Grosjean – outqualifyed his team mate in Kimi Räikkönen. So with the Driver Parade over there was a bit of time before the big race started so we popped out of the stands and sat outside at the Esplanade area. The boardwalk around the esplanade is a great little spot to get away from the racing and have a quiet drink/snack/meal. If you are looking for somewhere cool to eat when at the track be sure to check out the Makansutra Glutton’s Bay Food Centre. 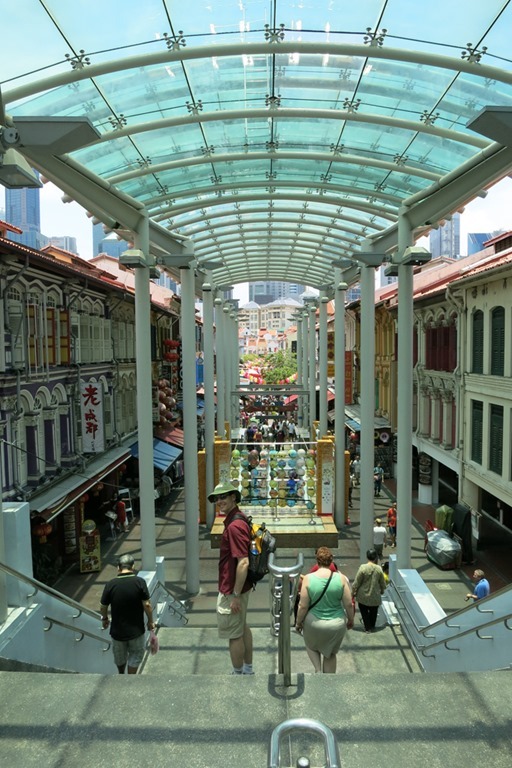 It is a fantastic collection of Singapore’s iconic Hawker Stalls, offering some amazing food at great prices. 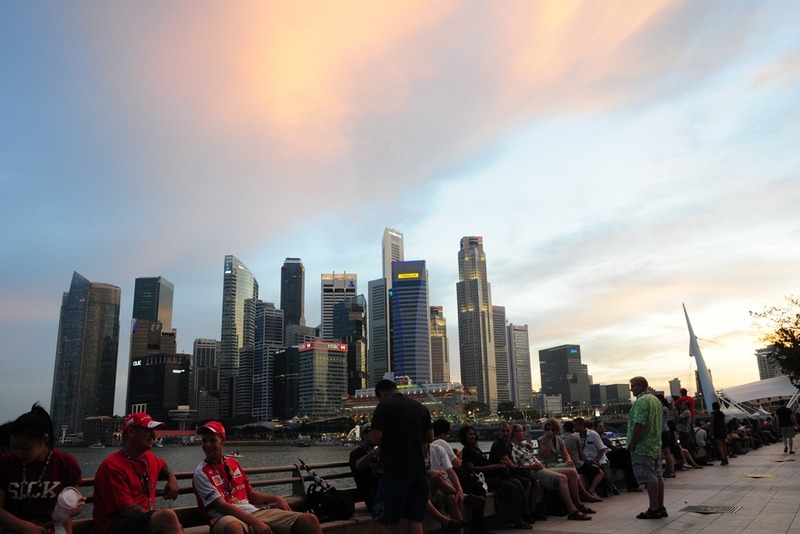 Note: During the Grand Prix they have to raise their prices in accordance with the rules from Singapore Grand Prix Corporate so that all the places are selling things at the same general price point. That said we were getting a good meal for about $8-$12 per person which is amazing. 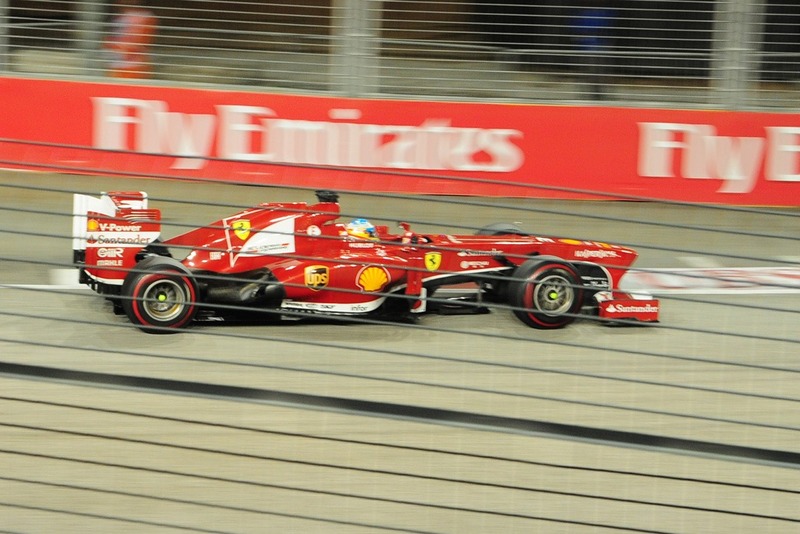 If you compare the Singapore Grand Prix to other Formula 1 races – for example Melbourne Australia the food is of much higher quality than the usual “Hot Dog and Chips” and the prices are also much more reasonable. 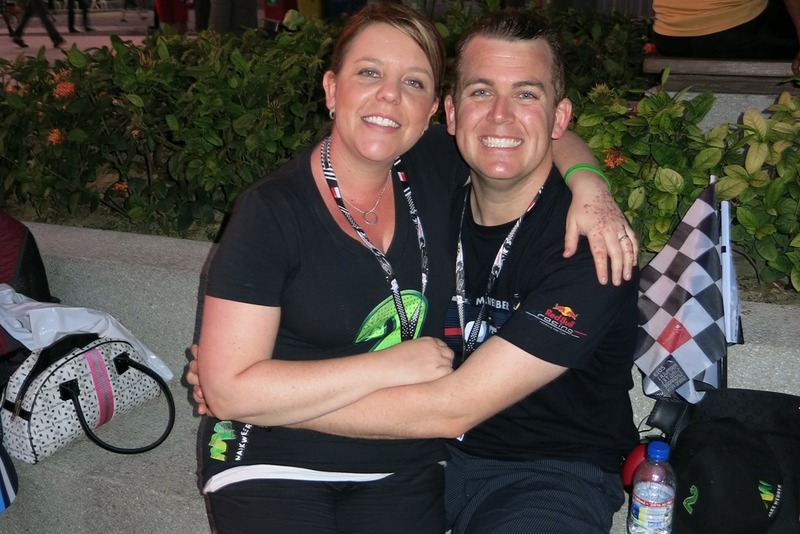 And a rare shot of Dan and Me, just to prove we were kitted out in our Mark Webber Merchandise! Then it was time for the Race. Now I didn’t take many shots tonight from the race, purely because the grand stand was chockers and also I had taken pretty much every shot over the past 2 days. Also I was hooked on following the race. I took this as a Panorama to show you the field of view from our seats and from the Esplanade Waterfront Grandstand in particular. As you can see you spot the cars taking the Right Hand turn, they come past you as they take the Left Turn into the “Bus-Stop” then head down the short straight – if you are at the far right hand side of the stand (as looking at the track from this shot) you will see them take the Left Hand turn under the Bay Grandstand. The Bay Grandstand is directly in front of you here – it is the cheapest of them all – but it can be a little crowded, I think I read that it holds somewhere in the region of 20,000 people in the stand! Even through the fences you still get a great view of the cars and being so close you certainly get a great understanding of the noise! Please make sure you take good quality hearing protection, these cars are seriously loud – yes for one or two seconds take off your ear muffs to hear them in full volume but extended loud noise will cause you permanent hearing loss. We grabbed some ear muffs off eBay before we left Australia, they were about $30 per pair and had built in FM radio which allowed you to tune in to the on-track broadcast to hear the commentary of the race. Sadly the race didn’t end up very well for poor Mark. His car suffered a pretty serious engine issue – in that most of it exploded out the back of the exhaust. However, I managed to snag what is one of the greatest shots from the whole weekend. 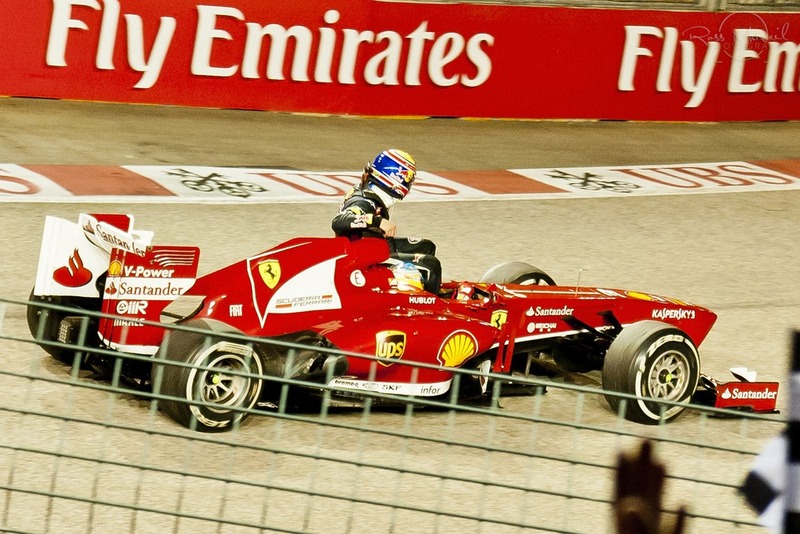 Mark’s engine exploded on the last lap so he was stuck out on the track – his buddy Fernando Alonso stopped and gave him a lift back to the pits. It was a seriously amazing sight to see – one that ultimately landed Mark with a 10 place penalty for the next race but its an enduring image that epitomises Mark’s attitude to Racing and also the immense respect almost all the other drivers have for him in the field. 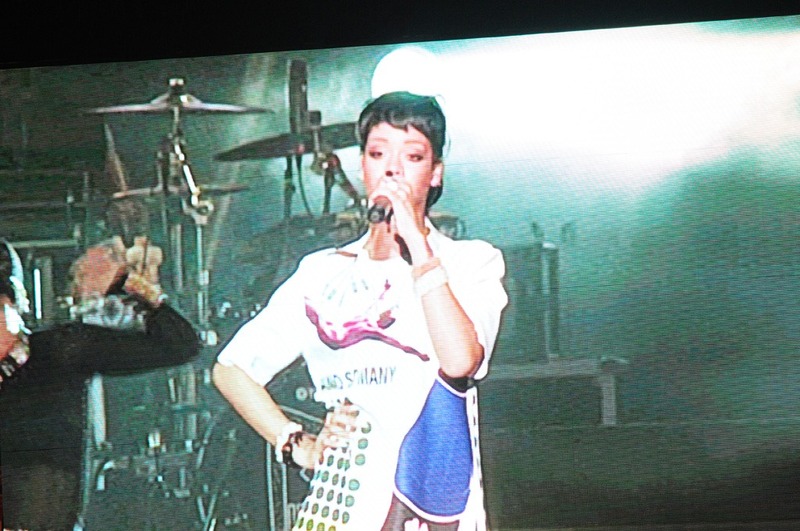 The race having finished – we headed to the Padang stage to check out this evenings headline act – Rihanna. Not exactly the same as the Killers last night but we had reasonable hopes for a good show. WOW – were we extremely disappointed. I really don’t know how to describe it, either she was too drugged up or not enough – probably the worst concert performance I have witnessed from any performer. She sang about 2 out of every 20 words to her songs – and you could certainly tell when she was singing as it sounded like a cat being dragged behind Mark Webber’s Red Bull. I get the opinion she was simply trying to create a controversy – her song selection was appalling, starting with slow, boring hits that few people knew, and not really picking up from there. We stuck it out as long as we could but it was pretty hard work. I would have preferred if they let The Killers come out and do another show – would have been much more entertaining. 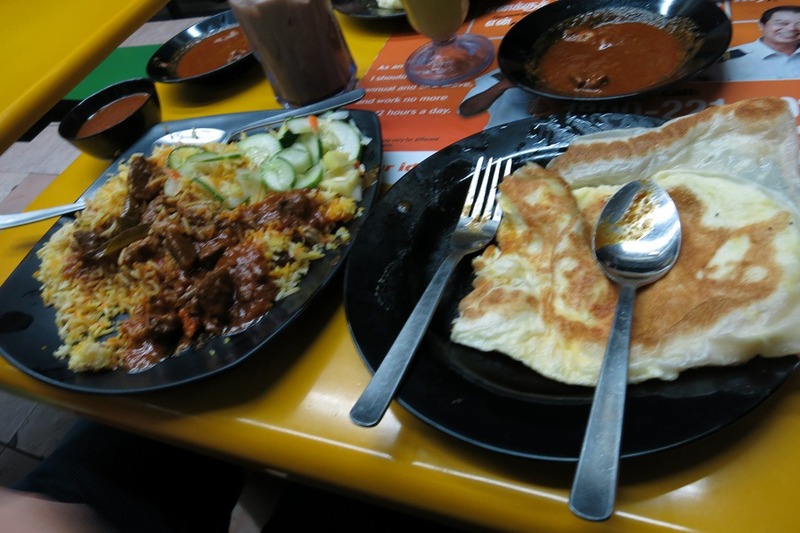 So we headed back to the hotel – tonight however we did stop back at Al Jilani for another late night Roti and Milo Run! This is also were we bid goodbye to our travel companions – the three others were heading back to Brisbane tomorrow while we are sticking behind in Singapore for another day before we head to Bali. 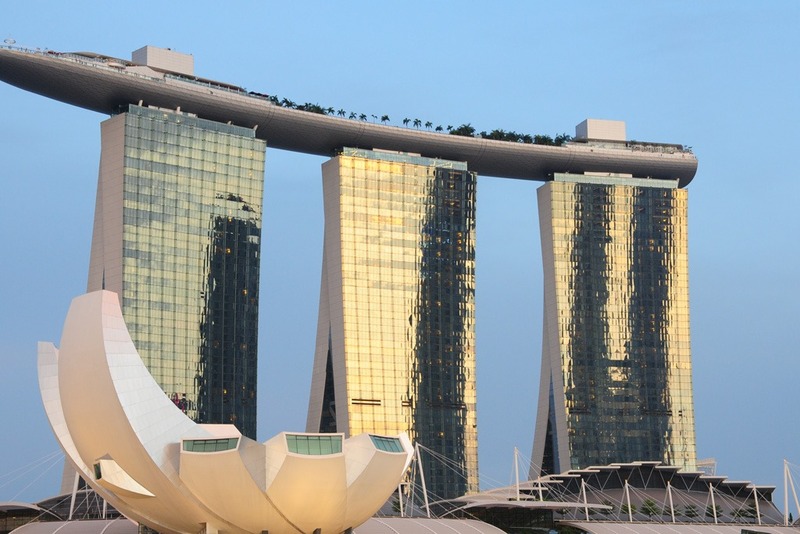 It was a really nice experience getting to share Singapore with some of our good friends, and as a result we had some many really nice memories. Off to bed now – tomorrow is a packed day – our only full day uninterrupted by motorsport so we can get as much sightseeing in as possible. Thanks as always for reading this blog – I do hope that it is providing some useful information for you all. Please feel free to leave a comment and let me know your thoughts. Sounds awesome! 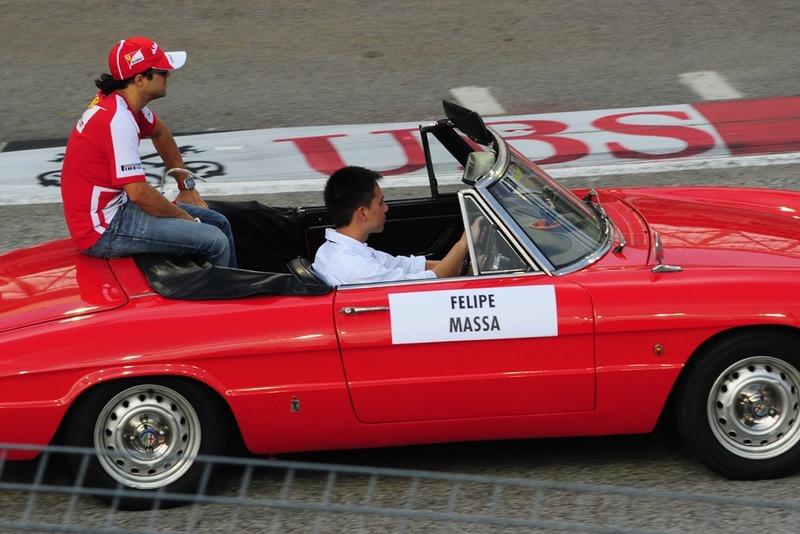 We have only ever been to the Sepang F1 race. 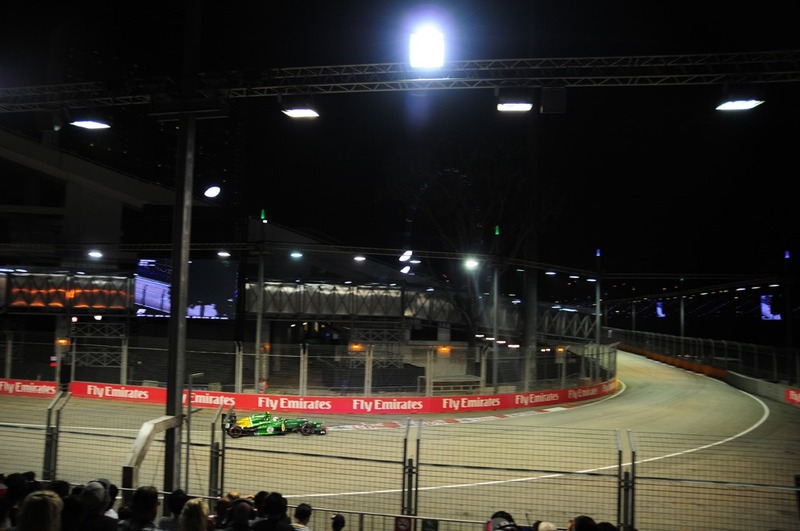 I do love Singapore, and would love to get to watch the night race. just stumbled onto your blog as we want to book seats in the Esplande stand for this year. Would u recommend row 1 in the stand? I was also thinking the very last row of the stand to get some air but not sure if its too far back. Because row 12 has the walkway behind can you jump over the seats to get in/out.